The European Commission included olive oil in a list of adulterated products. There are times when our own ignorance about the products that we buy plays a trick on us, and others in which manufacturers take advantage of the circumstances to sell “jack-o-the-box”, as sometimes happens with olive oil. Since the olives are picked from the tree, until they reach the supermarket shelf, there is a long production chain. “Fraud in the olive oil market has been around for a long time,” says Susan Testa, director of culinary innovation at the Italian production company Bellucci. “It can be mixed with other types of oil,” he adds, without the label noticing. There are organisms that regulate the sale of the product, such as the International Olive Council, which sets a series of chemical and organoleptic properties (related to the sensations that the oil produces to the taster, considering the color, flavor, texture and aroma) and specific methods of study. But, despite the controls, the fraudulent actions persist . 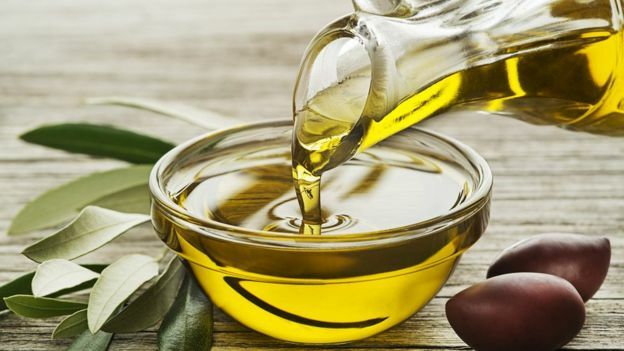 The European Commission included olive oil in a list of adulterated products and in February of this year the Food Inspection Agency of Canada (CFIA for its acronym in English), warned that poor harvests of olives can cause an increase in fraudulent oils this year. Image caption The label must include the date on which the olives were harvested. The situation could get even more complicated, given that the production in Italy has fallen precipitously due to the spread of the Xylella Fastidiosa bacterium and the bad weather conditions. 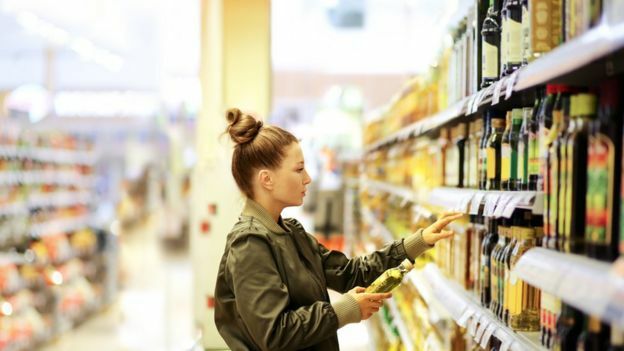 To detect if the olive oil you buy is genuine, Susana Romera, technical director of the Higher School of Olive Oil (ESAO), in Spain, gives you five recommendations that can be useful when choosing a product. Check that the olive oil you are going to buy has last names. If it does not say “virgin” or “extra” on the label, it’s probably a mixture. The extra virgin oil (or extra virgin, depending on the country) is the highest category, which will cost you a little more, but it’s worth it. Look on the label for the date when the olives were harvested. If it appears, it means that the company has some seriousness. And obviously it is better that the date is as recent as possible. For example, if you are going to buy now, it would be good to say “campaign 2018-2019” on the harvest date. This way you know that the olives are fresh and this year. 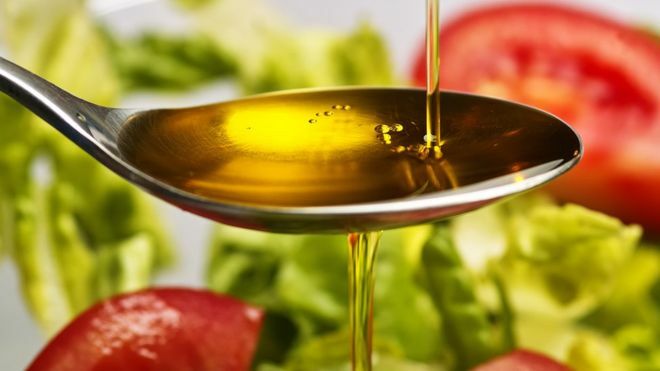 Copyright of the GETTY IMAGES imageImage caption Canadian authorities warned that poor harvests may cause an increase in fraudulent oils this year. Look in the bottle with what type of olives the oil was made. It may be monovarietal (of a single variety), or it may be a blend , that is, a mixture of different varieties of olives. In either case it is fine. It is good that the label includes the variety, because that is how they are telling us that they are using olives and not other fats. For this same reason, it is necessary to read well that it does not carry anything of mixture with other fats. The price of virgin olive oil or extra must have a reasonable level. If it is too low, do not trust too much. Image caption Look in the bottle with what type of olives the oil was made. Making olive oil carries a cost, and if it has a very low value, you should be suspicious. This last step is not possible without opening the bottle. The virgin olive oil or extra authentic, must have aromas that remember the nature, like fruit, grass, grass, flowers … depending on the variety. But in no case should have anomalous or unpleasant aromas. Other experts add some tips, such as making sure the bottle is dark glass(because it maintains the quality of the product better) or that it clearly indicates the place of origin, instead of using subterfuges such as highlighting the country from which it was imported. Some experts also propose to check that the bottle indicates the degree of acidity. The best oils have the least amount of acidity (ideally less than 0.8 degrees). In the last five years, the climate in the Mediterranean region has affected production, causing a rise in prices, followed by a decrease in consumption. Image caption A price too low is a warning signal. In fact, according to the International Olive Council, there was a drop in the global consumption of olive oil close to 6% in the period 2016-2017, while in Europe the fall reached 12%. 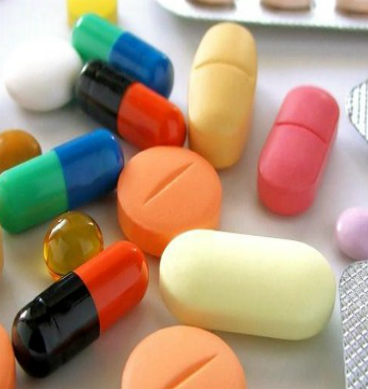 Precisely this type of circumstances, could open space for some producers to modify the composition of their products. “Fraud in the olive oil market worldwide is a reality,” says Romera. “In the measure that the final consumer or the population does not know the quality of a product, the companies will always try to sell you the minimum quality at the maximum price”. 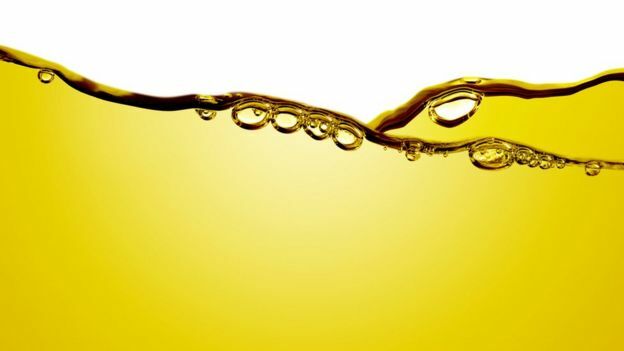 However, the expert says that there is an ” increasingly rigorous “ traceability of the entire production chain of the oils that reach the supermarkets. And although recent harvests have not been the best, some analysts project better times for the industry. 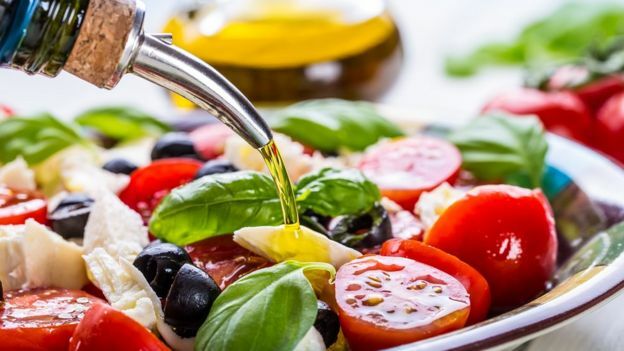 According to consultancy Hexa Research, the global olive oil market will surpass US $ 11,000 in 2025, with strong demand from countries such as Australia, Japan, India, China and the United States, where millennials are leading the consumption engine of this product.